Send flower to Iquitos, Peru, Iquitos, Peru Flower delivery, envio de flores a Iquitos, Peru, Iquitos, Peru Florists . -Is it secure to use my credit card to buy flowers in 800flores Flower shops? 800flores.cl le permite hacerse presente con un bello saludo floral en as principales ciudades de Chile y el Mundo. Si el destino no está en nuestra lista llame a florerías 800flores en Santiago de Chile al teléfono 800356737 (800flores) ó desde provincia y extranjero al 562-4310477, donde estaremos gustosos de orientarlo. -Where can I send flowers to with 800flores Flower shops? 800flores.cl allows you to be present through a nice floral gift in major cities from Chile and the world. If destination does not appear in our country list, phone 800flores Flower shops in Santiago, Chile at 800356737 (800flores) or from Provinces and abroad at 562-4310477, where we will be pleased to assist you. 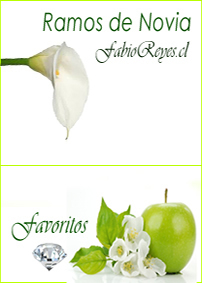 -Can I request for a specific delivery time on 800flores Flower Shops? We do, Deliveries on Saturday, Sunday and holidays will be made till 2:30 pm. 800flores Flower Shops may execute orders received same day, past 2 pm, depending on destination.Contact us at Ph: 562-4310477 (24/7) to check for availability.